Leah Findlater is an assistant professor in the department of Human Centered Design & Engineering (HCDE). She directs the Inclusive Design Lab, whose mission is to lower barriers to technology use and information access for users with a range of physical, sensory, and cognitive abilities. She has published over 60 papers in top-tier academic venues, ten of which have been recognized with Best Paper or Honorable Mention awards. She holds an NSF CAREER Award and her research is funded by NSF, the Department of Defense, Nokia and Google. Before joining HCDE in 2017, Dr. Findlater was on the faculty at the University of Maryland’s College of Information Studies, and spent two years as an NSERC Postdoctoral Fellow at the UW Information School. 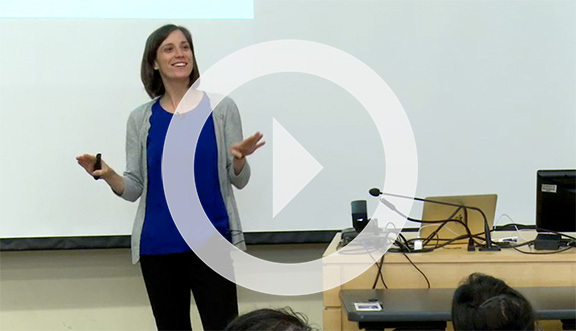 Watch a recent lecture by Dr. Findlater on Inclusive Mobile & Wearable Computing.